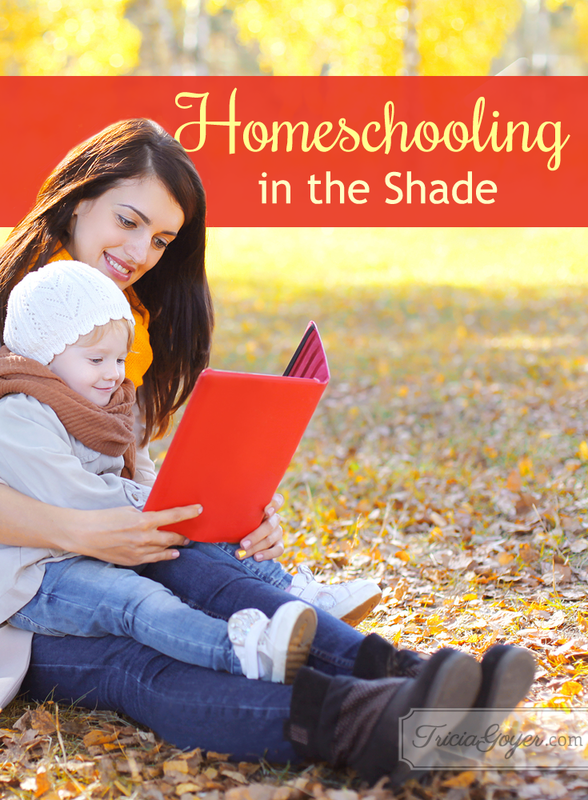 Have you ever found another homeschooling mom who gets you and who could handle the truth about how you’re really doing? That would be like finding a shady tree on the side of the road to rest under. I’m still looking, most of the time. I try to pretend I am quite okay to Lone Ranger it in the relentless sun on this journey, but truth be told, it would be great to take a break from this pretending. You can’t blame me for trying to find the formula. I am what you could call a Box-Rose Mom: half Boxwood Tree and half Rose Bush. I’ll explain: Moms are like trees. We have a certain design, a nature God gave us. We grow, although we may have our winters when we display less foliage than in our summers. We plant ourselves by the river like the tree in Psalm 1, not because we are so spiritual, but because we are so desperate for sustenance. We send our roots deep into the riverbank, and we draw as much life out of the moist soil as we can. We try our best, our way. By grace we produce fruit that feeds our family and even others in our community. No two of us are the same, though. We all have a unique blend of four tree types in us. I’ve called these four the Boxwood Tree, the Rose Bush, The Pine Tree and the Palm Tree. The Boxwood Tree is the topiary tree that can be pruned into perfect hedges or artistic decorations. This type of mom would love to be as perfect as these trees in nature. The Rose Bush mom is a mover. She goes for first prize. The roses are her medals of honor; the thorns occasionally come out in the truth she unapologetically fires straight at you. Pine Tree moms seem to have a cool breeze around them, a cloud of silence above them and an inviting lawn below them. Their kids plop down in their shade and all is well. Palm Tree moms follow the sun. Their kids are great, life is great, this new book is great – you HAVE to get it! – her new nail technician is fabulous, and she has a health shake you should try! Here on the river bank, we look to the left and to the right and see the other tree-mothers doing it so differently from us, that we become threatened. They bear fruit we don’t. We envy theirs, perhaps. Sometimes we judge theirs. We are occasionally like an apple tree who notices a pear tree, points and whispers: “What is with those oblong, yellow things? Hasn’t she ever heard of the 3 R’s – round, red and ripe?” Each of the four mom types have been frowned at. Each has been misunderstood. Each has felt insecure. Perhaps a little explanation and short applause will help us honor them as we all start a new school year with uncertainty. The Boxwood Mom loves her schedule, occasional quizzes to make sure everyone remains on track, great books and a fairly fixed learning plan. She may prefer a space in the home where everything is tidy and labelled, even though she won’t necessarily call it a classroom. She prepares for each school year by relabeling and repacking to ensure she has all the necessary supplies and a few backups. She has lists and a timeline. She may unnerve a Pine or Palm Tree mom who prefers going with the flow. To her I want to give this salute: You attend to very important little details which often make all the difference. Thank you for caring as much as you do! The Pine Tree Mom would love to keep the pace steady and to slow it to a halt around life’s key events – the birth of another baby, the loss of a loved one, or simply the arrival of the first fall leaf on the aspen tree in the yard. The first, second and third curriculum she bought under pressure from a concerned family member may very well be gathering dust somewhere while she is doing life with her kids. She could be content just seeing their hearts grow. I want her to ignore the noise and the hurry and to embrace this truth: Faithfully and patiently you’ll get them to their goals, because you excel at support. The Rosebush Mom is fighting. When she’s not fighting for all of our rights to choose how to raise our kids, she’s fighting to keep the community library accessible to all, or she’s fighting the disability that threatens her child’s future by exhausting every avenue of treatment. Occasionally, she’s fighting us on some or other conviction we don’t even hold very tightly, because she lives on debate. While she does all of this, she probably serves on committees somewhere and runs a ministry at church. And her kids par-ti-ci-pate! Because inaction is a sin in her book. To her just a quick note: I get you. Lean hard even when you think you can stand, and then, go big! The jovial Palm Tree mom is perhaps the only mom who can give her a go. Equally energetic, this fun mom loves being part of the action and pulls her kids into it with charm, enthusiasm and the occasional unashamed bribe or reward. Knowing that all things work together for good for those who love the Lord, she doesn’t worry too much about the SATs and other gloomy deadlines. Her hope soars as high as her waving leaves. To her, just this applause: You are a dream-giver. Joy is underrated. Thank you for giving so much of it to those of us who can’t easily manufacture our own supply. This year, I want to try this out. I want to move closer and try to see the moms in my jungle more clearly. Perhaps even try to intertwine our branches, gather our kids together, relax, and raise them together in the shade. Next year, I may consider the violin. What kind of mom tree are you? Take the free online Tall Trees Parenting Profile that Hettie developed to find out! 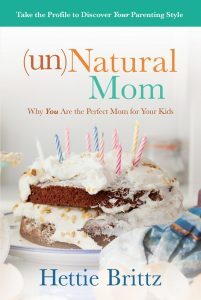 Enter to win a copy of (un)Natural Mom below! 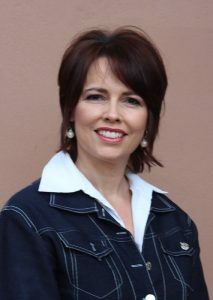 Hettie Brittz is a wife, mother, and speaker from South Africa. Author of Growing Kids with Character, Growing Kids Through Healthy Authority, and Cultivating Compassionate Discipline, (un)Natural Mom is her first book to be released in the United States. Brittz co-developed the Tall Trees Profiles and the Evergreen Parenting Course. Between homeschooling her three kids and joining her husband on his ministry outreaches, Brittz tours internationally, speaking to audiences around the globe, as well as appearing in weekly parenting spots on South African television. Her key convictions are that there is hope for every individual and any relationship and that there is no place or circumstance so dark that God can’t turn it around for good. The Brittz family resides in Pretoria, South Africa.